It's a scary time to be a parent. First, Activision's Skylanders franchise created this wallet-murdering nightmare confluence of collectible toys tied to video game characters where each physical toy you bought unlocked a new part of the game. Then Disney looked at its vast holdings and said, "Well hey, we can do that," releasing Disney Infinity unto the world. 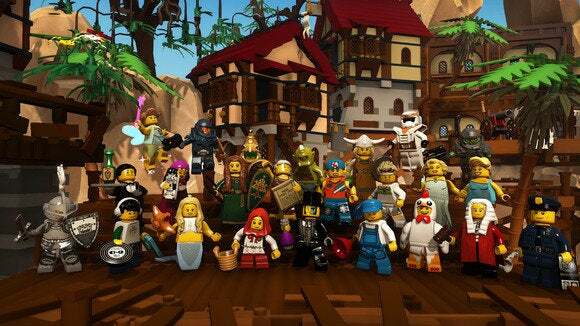 Yes, Lego Minifigures Online adapts the same buy-toys-use-in-games model to those adorable yellow Lego people. Call it insidious. Call it genius. Either way, Lego is coming. The game is being developed by Funcom (makers of The Secret World) and is an action MMO that plays more than a bit like Diablo; you have one standard attack mapped to Left Mouse, one special attack mapped to Right Mouse. This is an MMO-lite clickfest, where you just kind of mash on those buttons until everything is dead, but in a deliciously fun way. While you can unlock new characters by playing, each minifigure sold in stores after release will come with a code for the equivalent character in-game. And since Lego Minifigures Online is free-to-play, the barrier to entry is incredibly low—the old "first hit is free" tactic. Minifigures fall into three classes: defender, striker, and builder. Defender and striker are pretty self-explanatory. Builders are slightly faster at assembling the piles of bricks heaped around the world into something useful, such as a machine that could help turn the tide of battle. Funcom wasn't lazy about these minifigures. 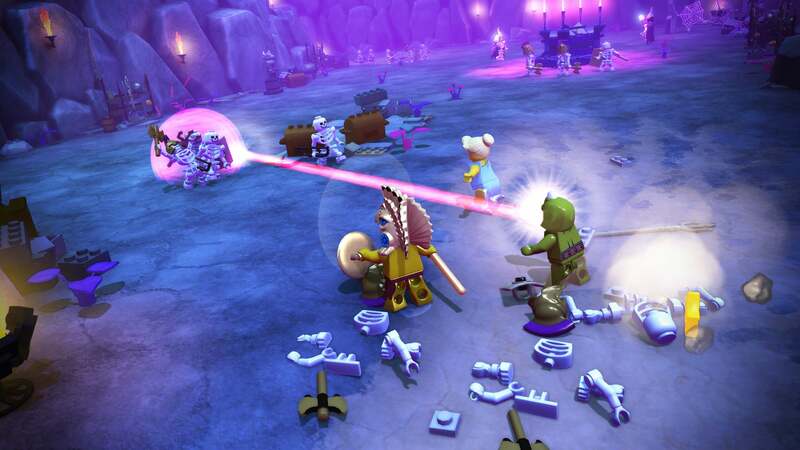 Even though there are only three real classes, each of the 100 minifigures at launch has a unique set of skills. The DJ, for instance, throws records for pure damage and drops a subwoofer out of the sky to slow down enemies. A Roman Senator lobs Roman lettering at foes or summons a group of praetorians to shove them back. Bee Girl throws honey pots to ensnare enemies and then shoots bees at them. Yes, that last one would be quite horrific if it weren't for the fact this is Lego. You're allowed to queue up three characters to swap between at will, which makes for some interesting power combinations if you're delving into "advanced tactics." Lob a pot of honey at enemies and then jump over to your Roman Senator and launch the praetorian guards. On the other hand, the game isn't especially hard, so there isn't a ton of reason to worry about "tactics." With four people playing at once, scenes generally just turned into particle effect chaos—a mess of bees, lasers, Aztec symbolism, records, bass drops, and whatever else you can think of. I played through an entire dungeon of the game's Pirate World at GDC last week, destroying a legion of enemies in my quest to reach the kraken, which we summarily defeated despite its massive health bar. The dungeon took about thirty or forty minutes to get through, and Funcom says this is but one dungeon in one world. It sounds like there's a lot of content in-game. If you like the other Lego games you kind of know what you're getting here—a fun romp through some inspired environments with just a dash of Lego humor sprinkled throughout. It's not punishing, or very deep, but that's not why you'd play anyway. 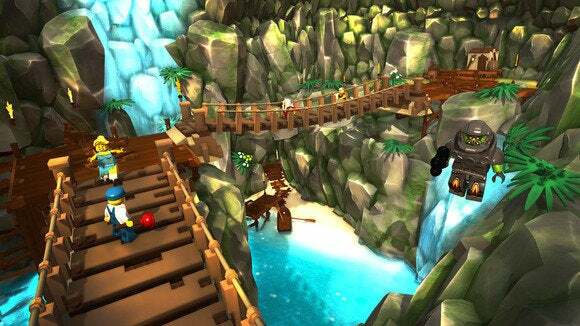 Look for an open beta of Lego Minifigures Online this summer, with a fall release to follow.